Can People with Hearing Loss Be Good Listeners? Confession: I am a conversation control freak. It has been brought to my attention more than once that I am a Chatty Kathy. Never one to be quiet for long, I often have an anecdote to share, an opinion to flaunt, or advice to dole out. Usually, I blame this on my hearing loss. It is easier to control a conversation by doing all the talking, than it is for me to be quiet and simply listen. I was reminded of this a few days ago when I asked a new friend to meet me for coffee. I had it all planned out: She and I would arrive at Starbucks, order our lattes, then I would banter on and on while she sat mutely. Wrong. This friend needed to talk, and she craved someone to really listen. I spent the next hour and a half reading her lips and hoping that I wouldn’t miss any of her words. It felt odd for me to go more than five minutes without saying anything. Why is it so hard for me to just listen? Could my inability to keep my lips sealed and my ears open be because of having hearing loss—or is it more that I am a control freak? One of my favorite authors, Donald Miller, blogged about the issue of control. The post’s title: “How to Know If You’re a Controlling Person.” One of the analogies he used was to imagine me and someone standing on our pillows, having a conversation. If I tended to try to do most of the talking by trying to persuade the person to accept my point of view, I would be stepping on her pillow. Bottom line: I needed to stay on my own pillow and respect that other person’s pillow or point of view. How many times have I tried to dictate conversations, only to offend or hurt someone’s feelings? Wouldn’t it be more respectful to allow whoever is talking to do so without butting in? It got me to thinking about what I say to people. If I am the only one talking, I would hope that my words aren’t foolish or presumptuous. I would hope that the words are wise and truly helpful. If they aren’t, I need to remember that shutting my mouth from time to time isn’t a bad thing. When I met my friend for coffee, my eyes were open to how selfish I had been by always talking. Learning to truly listen—even with a hearing loss—is a gift my friend needed that day. The only thing I can truly control is my tongue. I, too, have been guilty of trying to be a control freak with conversations. So much easier to TALK than to try to allow someone else to do so! Today in class we had quite the discussion on sexual harassment. The students had a LOT to say, and I had to zip my lips to let them talk about an issue that is very sensitive to today’s young woman. It was hard for me to follow 100% of the time, but I am learning that I can actually learn this way. Denise – Good for you in lending an ear to your students! Great post, Shanna, but I have always found you to be a good listener. RJ – Thank you. I consider you a phenomenal listener. Very good post about boundaries. There are certainly difficult to learn and maintain. Awareness of the issue of control leads you in the right direction. Now that you know and are aware, you will be able to catch yourself and take that much needed breath and listen to others. 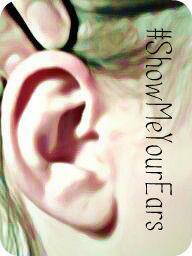 Hard of hearing people hear and listen with more then their ears and hearing aids. They/ We listen with our hearts. Your friends cherish and value you and your company. Talk with them, not at them. You can learn to control your tongue. And oh my do I know how hard that is. I already know you are a good listener. You have heard me. you continue to be brave and take the risks of asking for and receiving criticism and moving on. Give yourself some more credit. Use the skills you have and breathe. You can be a good listener. Now after all of that. I have some of the same issues. I think we do do it because it takes so much physical and mental energy to hear and get information for us. That sometimes I think that we as HOH people want to talk so we aren’t missing anything. In reality we are. Mary – Thank you for the excellent points. Learning to listen is a process for everyone, isn’t it? When I was a social worker my job was to listen and figure out what was going on. I made all sorts of adaptions to get close, hear well, be able to watch what they said, etc. I can, OTOH, talk too much to cover up the fact I can’t hear well. Now when I start doing this I realize I’m in an environment where I can’t hear well and I am honest about it and ask to move or get assistance. I now use ASL and in some venues I request CART. My friends all know I don’t hear well and so I can just say, I can’t hear you and we make some sort of accommodation. @anotherboomerblog – I like your idea about using ASL and requesting CART when listening situations become difficult. Keep advocating for these accommodations! You are a great listener. I love you! Good self-awareness, dear Shanna. I learned to listen when I started doing memory healing prayer for others. Listening became my preference. BUT, I have my moments when I dominate a time-limited conversation. Honey, I’ve always enjoyed OUR conversations. You continually amaze me with your wisdom and bubbling joy. I can’t really imagine how much work it takes for you to “listen”, but, until you told me, I had no idea you did it with your eyes more than your ears. All that said, keeping in mind that “controlling” issue IS very important. Jesus listened. He asked, and he listened. Keep following His lead.. You hear him very well. Sally – You are such a blessing. Much love to you. Wow. This really made me think & realize what I’ve been trying to change as I’m growing up & learing how to do proper social life. I knew I had to shut up & practice normal social properness in my quest to make new & more friends. Thanks for “hitting the spot” in what “this” was. Hi Amy – Good for you in recognizing the importance of self-discovery and change. I pray that your journey is blessed and that you will be a blessing to those around you. « Did I Pass Hearing Loss Along to My Child?